The first tranche of calls are now open for the York, North Yorkshire and East Riding Enterprise Partnership’s (the LEP) European funding for growing the rural tourism economy, which totals almost £10 million between now and 2020. Local tourism businesses are invited to apply for grants between £35, 000 and £500, 000. We are looking for businesses with plans to bring more visitors to the area, encourage those visitors to stay longer, and provide them with more to do. 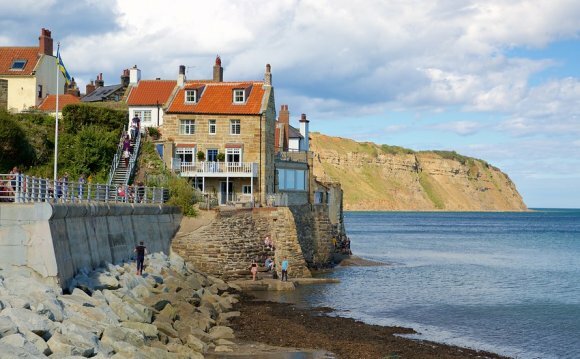 With around 10 per cent of North Yorkshire and the East Riding’s economy coming from tourism and the associated sectors, our region is a thriving destination for day trippers, those looking for a weekend away as well as visitors from further afield. We want to see plans that will help us meet our ambitions of attracting more visitors to the area and for our tourism sector to prosper; growing faster than our wider economy. The tourism infrastructure call is open until 8 January 2016. The tourism co-operation call is open until 1st April 2016 Applications can be made through the gov.uk website. There is up to £362, 000 value of funding is available through the tourism infrastructure call. Grants will be available for this call from £35, 000 up to £140, 000. Click here for application details. There is up to £500, 000 value of funding is available through the tourism co-operation call. Grants will be available for this call from £35, 000 up to £500, 000. Click her for application details. Before applicants can submit an application for a grant from the Growth Programme, they will need to register on Rural Payments. If the applicant is already registered on Rural Payments, they will not need to do this again. Click here for Rural Payments registration. The Department for Environment, Food and Rural Affairs (Defra) is the managing authority for EAFRD (European Agricultural Fund for Rural Development) through the Growth Programme, established by the European Union to help local areas stimulate their economic development. By investing in projects the funds will help to support innovation, businesses, skills and employment to improve local growth and create jobs. For more information visit the funding page here. There is more than £800, 000 available in this round of funding, which runs between now and the end of 2015. This won’t be the only chance to apply, as there are plans for more calls to be opened in 2016, including further similar calls for tourism, as well as other calls to boost rural businesses.